I really admire Dr. Hasanain's dedication and total devotion for the documentation of Iraqi art and congratulate him and wish him the best of health and success with his incredible work. This portrait was taken by me at his office today." 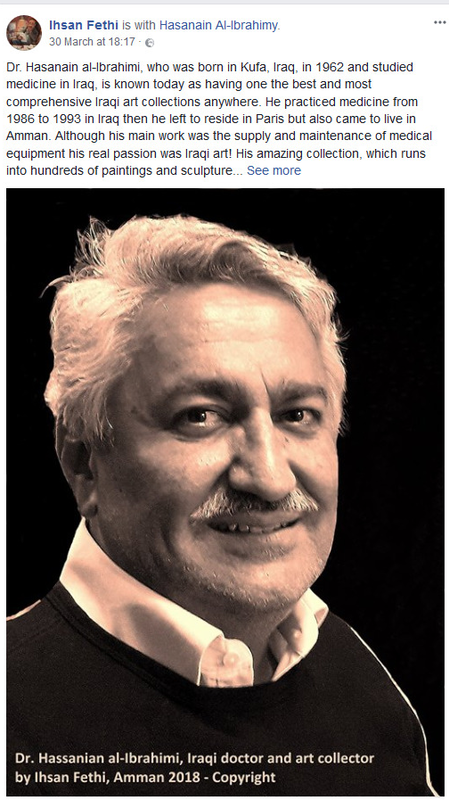 We would like to express our sincere appreciation to Dr. Ihsan for his statement, ًWe in Ibrahimi collection are trying to rebuild and restore our culture and art memory along with the cooperation of the Iraqi art community, We hope to become a useful source for the all concerned and involved in Iraqi art and heritage.